grandma's cookie jar: Summertime Rainy Day Fun . 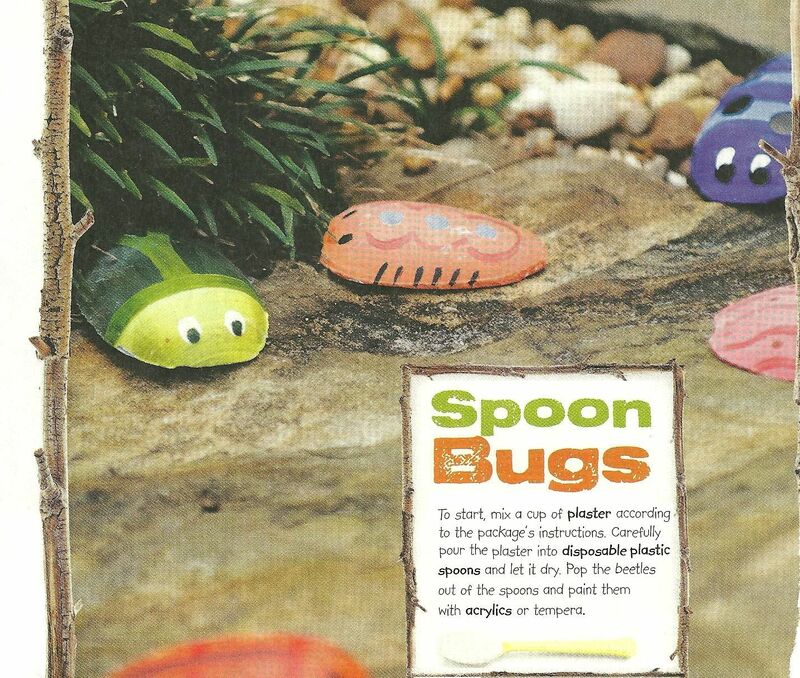 . . Make Spoon Bugs!!! While we might like to see our Summer days filled with sunshine and warm temperatures, we all know there are days when it rains. So . . . what can we do with our grandchildren on rainy summer days? Well, as I browsed on Pinterest today I found a simple and fun craft which gives one answer to this question . . . make spoon bugs!!! Just follow this link and you'll find a supplies list and simple directions for making a "family" of colorful bugs! I think I'd substitute permanent ink pens and crayons for the paint as then the boys won't have to wait for their bugs to dry, but just think of the fun they could have with their bugs after they make them . . .
Bug hide and seek! I could hide the bugs and they could have fun "seeking" them! Bug racing - if you have a smooth floor, have kids sit behind a certain point and see who can slide their bug the farthest! Bug story time . . . make up stories about the bugs - you could even grab some paper, pens and crayons and let the kids make their own story books for even more fun!